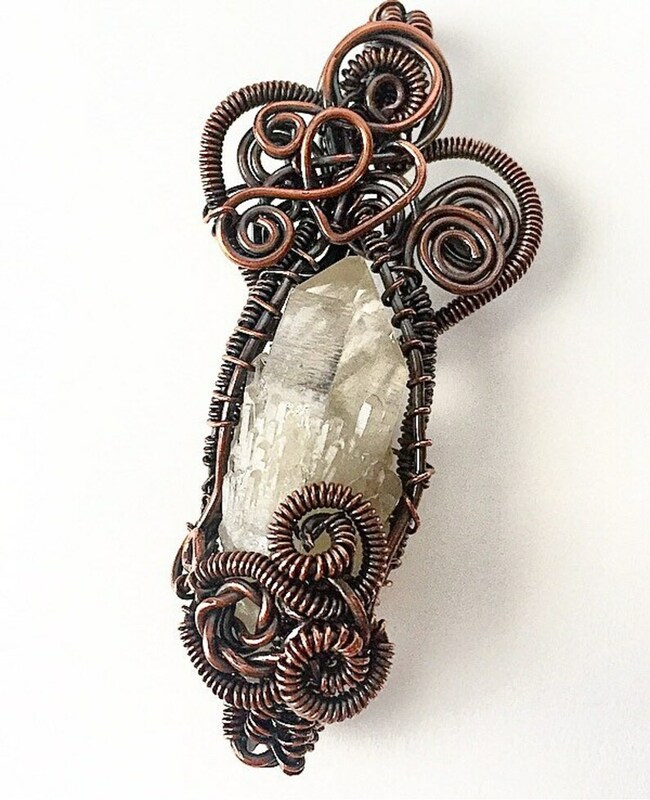 Raw Quartz from the Congo is wrapped in the warmth of antiqued copper. The crystal focal seems to glow with an inner light! The complex wire weaving features a free form heart with a traditional heart at the center of the nail. The crystal is 1 1/2” long and 3/4” wide, the pendant is 2 3/4” x 1 1/4” total. A silver gray or black cord is included, please specify color at checkout. If you would like a handmade copper chain to hang the pendant from I will gladly make you one for a nominal charge, message me to arrange.